One subject of key interest that arose at the recent British Syrian Society (BSS) workshop in Damascus was the future role of the Syrian Arab Army (SAA). Participants were intrigued to learn that there is a general consensus among a number of policymakers in the West that the SAA must remain constituted in its current form, which was not the case five years ago. The significance of the SAA was evidenced by the fact that it was credited with ending the war in neighbouring Lebanon and was an instrumental part of the US-led coalition in the 1991 Gulf War to liberate Kuwait. The SAA is considered the most important institution in the state and a strategic pillar of the regional security order. For further insight on this subject, the Syrian Law Journal spoke to Kamal Alam, one of the participants at the recent BSS workshop. Kamal is a visiting fellow at the Royal United Services Institute, which is the world’s oldest independent think tank on international defence and security based in London. Kamal specializes in the SAA and its regional relationships. He has written several articles on this subject. 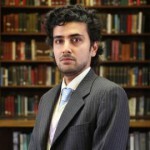 Kamal’s research focuses on Pakistani and Syrian defence issues, the Pakistani military’s relationship with the Arab states, the SAA and the non-Arab countries. Previously, he worked at the Syrian Institute for Strategic Studies in Damascus. He has also worked on the Syria Programme at the Aspen Institute in Berlin. Kamal teaches Syrian military history as well. In addition, he is a visiting lecturer at several military academies and staff colleges in the Middle East, the United Kingdom and Pakistan. Kamal has given evidence to the Defence Committee in the British Parliament. His works have been published in Foreign Policy, National Interest, Nikkei Asian Review, Open Democracy and several international military publications. He is a regular contributor to the BBC World Service and BBC Radio 4 where he comments on Syrian military and security affairs. One of the intriguing points you raised at the workshop revolves around the general consensus among a number of policymakers in the West that the Syrian Arab Army (SAA) must remain constituted in its current form because it is considered a strategic pillar of the regional security order. Could you expand on this point? At the beginning of this conflict the consensus was quite different. The Army was very much in the crosshairs and a target – indeed one can say that the very first victim of attacks by terrorists in Syria was the Army along with the police. Whatever the political rights or wrongs maybe by going after the SAA, it set the precedent for regime change in Damascus. However, most of the experts got Syria wrong. They predicted the Army to fall within months – however, despite several major setbacks, the Army was resilient and kept the major city and urban areas secure. Once there were no major defections from the senior officer corps, that is when many people said the SAA must be respected. Most of this belief was driven by the military men in the West. Whilst the politicians wanted the Army out, the Armies particularly in the UK and the US were of the opinion that there could be no future Syria without the SAA. The perception at the workshop was that there is a difference of opinion at all levels in the West on how to deal with the situation in Syria especially between the political and military establishments. Could you inform us what positions Western policymakers and members of the military establishments have taken towards the SAA in particular throughout this conflict? Is there a chance that these opinions will draw closer on a common policy in the foreseeable future? The war in Syria has divided the political and military establishment in the West, especially in the UK and US. Perhaps no other war since World War II has raised so many divisions and cracks in Western policymaking. As I said in my previous answer, the militaries led this call in the UK and US to not disband the SAA. Former British Chief of Defence Staff General Lord Richards went on CNN Amanpour just two months ago to say the SAA must be allowed to win this war for peace to begin in Syria. General Dannatt, the former Head of the British Army, has also voiced similar views. This is quite significant as Lord Richards is considered one of the greatest British Generals since WWII, and he is the only British General since WWII to command American troops in the theater of war as he did in Afghanistan. He was also at odds with the British civilian leadership on Libya. So what is significant here is that the military establishments were not happy with doing regime change and then leaving countries in chaos. In Iraq, the dissolution of the Iraqi Army left the country in ruin. Similarly by provoking the Egyptian Army in supporting the Muslim Brotherhood, the West again destabilized Egypt. Most British and American generals were against ousting Husni Mubarak. Similarly in Syria, many military establishments knew that the SAA was a professional army which had helped the West in security and regional stability. It should not be an enemy. How will the election of US President-Elect Donald Trump affect the outcome in Syria? Do you think he will steer Western policy towards a partnership with the Syrian government and by extension the SAA in the fight against ISIS and other terrorist groups? Trump and his election in ways is an indirect result of American policy in the Middle East and to a great extent Syria. There is a massive percentage of the American population that realize that disastrous wars in Iraq and Afghanistan have not made America safer; furthermore, Trump represents the embodiment of grassroots military veterans voting for him to correct failed wars in the Middle East. Apart from 200 senior Generals and Admirals who endorsed Trump, millions of retired soldiers voted for him. He has made it his priority to work with Russia to fight terrorism and whilst he has not directly said he shall work with Damascus, he did say that President Assad is fighting ISIS and we must not fight the President or anyone who fights Islamic terrorism. So there is a high chance Trump could work with Damascus. However, Trump is also very anti-Iran which could complicate his Syria policy of cooperation but again here, the SAA and its multiethnic and multi-religious elements could mean that the SAA could be made an ally irrespective of Iran. What is the state of the SAA today in terms of manpower and military hardware compared with the period before the conflict? Can it recover following this war? Is the SAA still considered in the top ranks in terms of strength in relation to its regional counterparts? There is no denying the SAA has come under severe pressure. No Army in the world can fight a six-year vicious war and not be subject to brutal wear and tear. The conscription has been the biggest casualty of this war with families divided and brothers fighting brothers. However, the SAA probably still holds a core 50,000 strong fighting capability at a minimum. There are a further 50,000 to 60,000 conscripts where the attrition rate is high. However, even the Syrian rebels have acknowledged that the professional cadre of the SAA remains strong, loyal and very diverse and the rebels even wrote an op-ed in The New York Times just last year saying that defections have not come at the rate they would like. This basically defeats all the arguments that the SAA is a sectarian army. The SAA can recover after the war by getting back its international partnerships with Egypt, Pakistan, Indonesia and several Latin American countries. Cooperation with the EU countries might be difficult given the political stance of the EU; however, in the long run, even that cannot be ruled out. The SAA can recover. Regionally speaking, the SAA still remains more powerful than the Lebanese Army and more diverse and battle hardened than the Iraqi Army. The Jordanian Army has never been tested by war so one cannot even consider them; they are great in military exercises but yet to fight a war. The indigenous Syrian military hardware industry has been more or less destroyed. Hence, for the foreseeable future, the SAA would be dependent on buying equipment from the Russians, Chinese, Iranians and several Latin American states. Before the war, Syria had roughly 400 fighter jets; this is down to less than 100 strong now given the sanctions and lack of repair. The air defence remains strong and with Russian backing, the SAA is still capable of shooting down enemy aircraft. It was remarked during the workshop that the Battle of Aleppo will reconcile the war and that the SAA must prevail in the end in order to lead the reconciliation process throughout the country. Has the Battle of Aleppo settled the result of this conflict? How do you envision the Army as an institution of state leading the reconciliation process? The result in Aleppo has gone a long way in perhaps charting out a beginning to end this conflict especially after the latest Turkish and Russian brokered ceasefire. This war shall not end until Turkey changes its stance and now significant voices in Ankara are urging their President to end his disastrous Syria policy. Again, here it is important to note that the Turkish Army is a secular force founded by Ataturk and what remains of it now after the purge still wants to work with Damascus because given the Kurdish situation in Turkey, only the SAA and Damascus can help stabilize the Turkish-Syrian border. The Army can be an institution that not only stabilizes Syria but the whole region – why? Because the SAA did this in Lebanon; it more or less ended the civil war in Lebanon with an Arab League mandate. Similarly in removing Saddam from Kuwait, the SAA played a big part and also fought the PKK at various times. So yes, the Army can reconcile its own population very well without the need for foreign intervention. The reconciliation process is key here and also the Syrian intelligence services. The role of the Syrian intelligence services in sidelining terrorists from the moderate opposition is very important here side by side with the SAA. The SAA has considerable Christians, Druze and all other Syrians in the Army; hence, they can use community relations, tribal links and regional connectivity to bring about a long-term sustainable peace. However, if this is to happen, foreign interference has to stop. What does a post-war Syria look like to you? Will it be a unitary state or is there a risk of de facto federalism taking on a more permanent form? There is a massive risk of de facto federalism especially in the Kurdish areas; this is why as stated previously, Turkey is key here. Turkey’s rapprochement with Russia and cooperation with Iran could lead to Syria being a unitary state again. Of course we need to factor in Idlib which looks like Taliban-run Afghanistan at the moment from the 1990s. All the world’s top terrorists have taken refuge there. There is also a significant rural population of Syria that is perhaps lost forever to a jihadi element. Unless this is reconciled, it would be hard to see some areas being brought under full control. You can see a Sri Lanka-like situation where terrorist attacks become a norm rather than full-scale war. The Syrian Kurds have a good relationship with Damascus and this makes Turkey uneasy – so the situation in the North shall determine the state of Syria in the future. There might be some small fiefdoms that might come up and it will take a significant effort from the SAA to retake and permanently hold these areas. Here again, reconciliation shall be key and the lack of revenge shall be important in keeping a unitary state. What legislative reforms do you anticipate would be necessary in Syria when peace is restored? In this respect, could you please also speculate on potential constitutional reform? The Constitution should not change at the behest of foreign pressure and war – this is something that is crucial. Syrian reforms must take place at a Syrian pace and be indigenous. What does this mean? Damascus must not given in to pressure of a Western-style democratic reform which simply does not work in the region – even Turkey, a NATO member, does not conform to these methods simply because of the history of the region. Given the security pressures Syria is under – surrounded by several enemy states looking to dismember it – it cannot change significantly without endangering its own future. Even France and the UK now have emergency counter-terror laws which are against democratic norms of justice and the presumption of innocence until proven guilty. Having said that, any Syrian who wishes to oppose the government through peaceful means without armed weapons should be allowed full participation in government. How the government handles the media is also important and legislative reforms should be brought in as long as national security is not endangered. But as I stress, this has to be a Syrian-led process and not from the outside looking in.